Granola is one of those things I never buy. I don’t buy it normally because the granola sold at most supermarkets is a calorie-laden sugar bomb, so I avoid it at all costs. I recently had the opportunity to try the granola from My Favorite Indulgence, and I was more than pleasantly surprised at not only how tasty it was, but the quality of the ingredients as well. Plus, how cute is this packaging? Vicki Schrimmer is the mastermind behind My Favorite Indulgence, a granola company that prides itself on using not only all-natural ingredients, but GMO-free ingredients which is a huge win in my book. 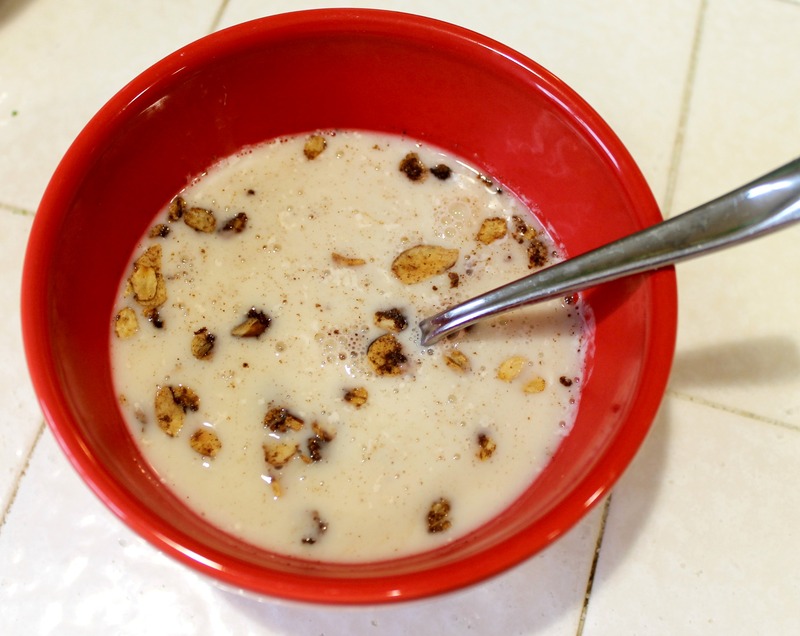 The other thing that’s great about the granola is the simplicity of the ingredients, which also makes it significantly less caloric than the mass-produced granola you see in the stores. I got to try four of Vicki’s signature flavors: Pumpkin-Spiced, Classic Almond, Chocolate Mocha, and Maple-Cinnamon (which also happens to be nut free). I really enjoyed all of the flavors, but the standouts for me were the Chocolate Mocha and the Maple Cinnamon. Each serving of granola is about 1/4 cup (and 140 calories), and I found it to be a nice light breakfast when served with some almond milk and fresh berries. I also loved adding the granola to my Greek yogurt for an afternoon snack, and even found myself grabbing a little handful when I wanted a sweet treat. Since the granola is sweetened with brown sugar and canola oil, it had the perfect amount of sweetness without being too overpowering. Another bonus to My Favorite Indulgence is the nut-free granola option. As someone with food allergies, I appreciate when brands offer alternatives for someone who may not be able to have nuts but still want to enjoy some tasty granola. And the maple cinnamon flavor is so good, you won’t even notice the nuts aren’t there! 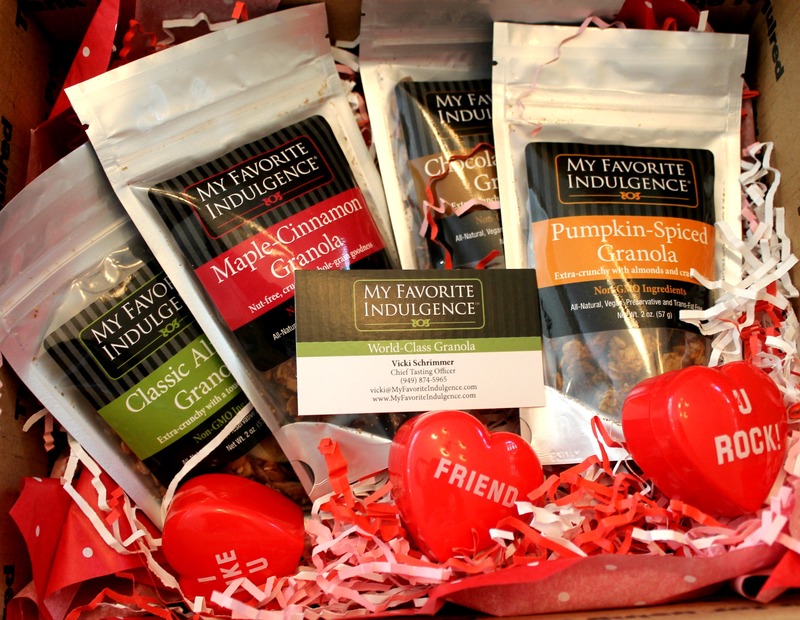 So how can you get your hands on some granola from My Favorite Indulgence? You can order directly from the website, or Orange County locals can pick up a bag at The Hood Kitchen and Market or at the Great Park Farmer’s Market on Sundays. Thank you Vicki for sharing your granola with me and making me a believer! I think it’s safe to say I’m definitely now a granola fan. 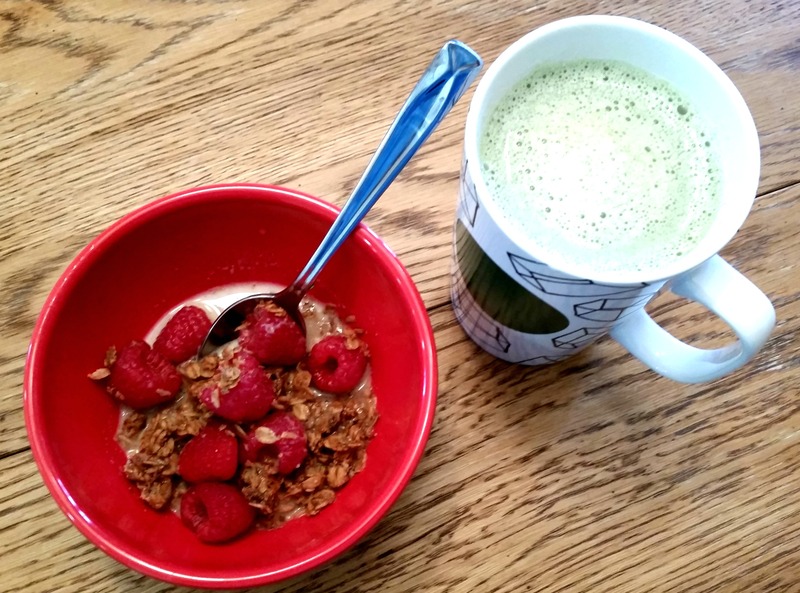 This entry was posted in Best Of, Food Allergies, Gluten-Free, Snacks and tagged granola, orange county, the hood kitchen on February 23, 2015 by allie@sweetpotatobites. The pumpkin spice is pretty fantastic not going to lie!